A dark, firm holding styling gel that conditions while it holds. Styles and holds where rollers cannot be used. 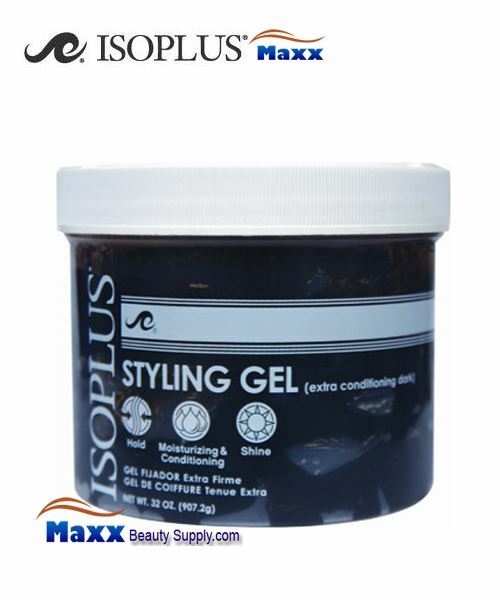 A very popular gel with excellent holding, non-tacky and non-flaky properties. For Short Texturized Styling: On clean, damp hair, spray & saturate hair with Isoplus Wrap Lotion. Take a generous amount of styling gel in the palm of hands, rub hands together and apply all over the hair. Comb through for even distribution. Style & let dry naturally or under a hooded dryer. Water, Carbomer, Sodium Hydroxymethyglycinate, EDTA, Imidazolidinyl Urea, Fragrance, Hydrolyzed Wheat Protein, FD&C Cocoa Brown.